It’s still only mid-April so there’s a bit to go yet until this rather strange lacuna in the GAA’s calendar is dealt with. Unlike other years, there’s no U21 championship action to fill the gap between spring and summer and while, in some counties, club matches are being played this month – there’s a full round of league matches on home soil this weekend, the way – in other places there’s little or nothing going on. At least the weather’s showing signs of picking up. One inter-county fixture that has been confirmed for this weekend is the LGFA NFL Division One semi-final. 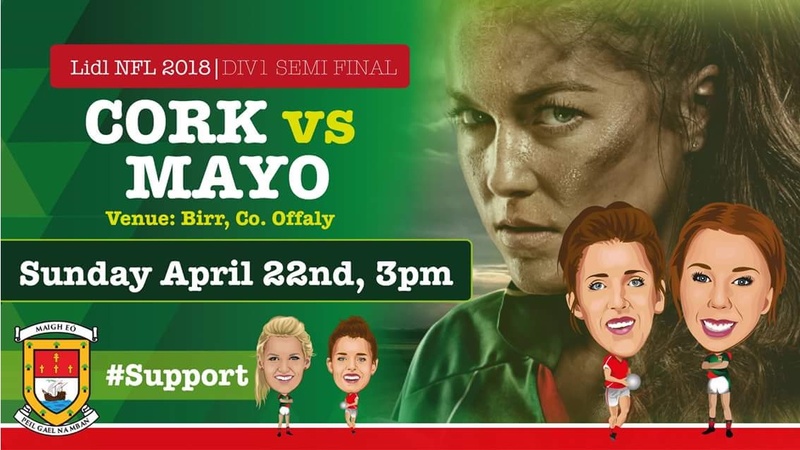 In a repeat of last year’s All-Ireland semi-final, the Mayo ladies take on Cork in this one, with the match fixed for St Brendan’s Park in Birr this coming Sunday (throw-in 3pm). The Division Two semi-final between Cavan and Waterford is the curtain-raiser at Birr and throw-in there is 1pm. More details on this weekend’s LGFA action here. Another match already fixed is the Christy Ring Cup first round tie in Group 1 between our lads and Wicklow. That game is scheduled for Aughrim on Saturday, 12th May, with a 3pm throw-in. Balls.ie had a feature the other day with the Mayo hurlers’ captain Cathal Freeman and that’s here. Cathal is, of course, a Tooreen clubman, while allows me to segue neatly onto belated congratulations aimed squarely towards my own native parish. Last weekend the Aghamore GAA club won two All-Ireland titles at the Scór Sinsir finals at IT Sligo, scooping the honours in both the Ballad Group and Set Dancing disciplines. Style on them. Finally, just to let you know that a new episode of the Mayo News football podcast will be ready to go shortly. The main item in this episode is an in-depth interview by Mike Finnerty with Alan Dillon, which will be well worth a listen. The new episode will be online tomorrow morning and will be available via the usual methods, including here on the site. Stay tuned for that. Good luck to the Ladies and the Hurlers at the weekend. Best Wishes to the Ladies at the weekend. Its a fair achievement to progress this far in the competition.every year. Fair play to our women. They give so much and are often the unsung heroes of Mayo football. They are always at the top table and always capable of winning. Their play and achievements without Cora has been inspirational and powerful. Well done to one and all and best of luck on Sunday. You can do it…and our hurlers too… Maigheo go deo!!! 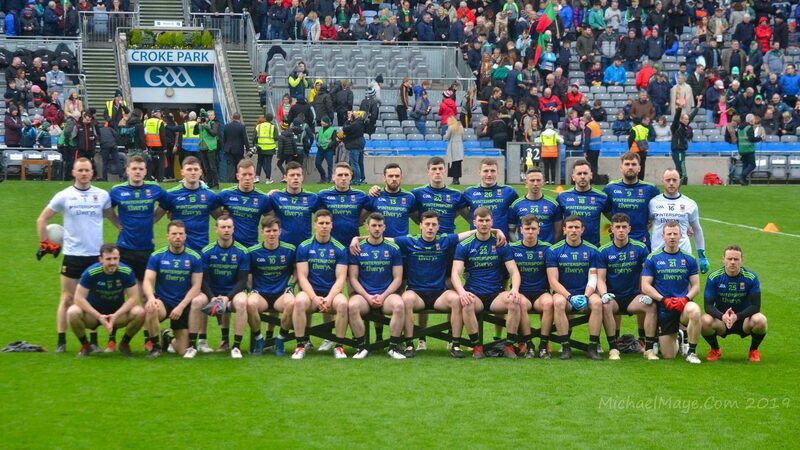 The 29 players still in the squad are Chris Barrett, Fergal Boland, Colm Boyle, Ger Cafferkey, David Clarke, Stephen Coen, Caolan Crowe, Jason Doherty, David Drake, Patrick Durcan, Brendan Harrison, Lee Keegan, Robbie Hennelly, Keith Higgins, Danny Kirby, Conor Loftus, Kevin McLoughlin, Andy Moran, Barry Moran, Shane Nally, Cillian O’Connor, Diarmuid O’Connor, Eoin O’Donoghue, Aidan O’Shea, Conor O’Shea, Seamus O’Shea, Tom Parsons, Evan Regan and Donal Vaughan. They are joined by development squad members Sharoiz Akram, James Carr, Neil Douglas, Adam Gallagher, Michael Hall, James McCormack, Fionn McDonagh, Peter Naughton, Matthew Ruane and Ciaran Treacy. These ten players, plus Cian Hanley and James Durcan who have also been added to this list in the last number of weeks, brings a total of 41 players training at the moment. I would echo AxleM . Good luck to our fantastic lady warriors . Best of luck to ladies, they deserve support. In a strange way they might be better off without Cora for a while at least. In last year’s final everything had to go through her and she was double marked. On a few occasions The other forwards had better options but turned back to Cora, whether by habit or maybe intimidated by her reputation. The other forwards now have more scope to step up.